Jean-Pierre Melville’s highly influential and playful 1955 gangster film, Bob le flambeur, contains a scene in which the central protagonist, Bob Montagne, a nocturnal, worldly gambler and intermittent criminal, returns home to his apartment some time just after dawn. 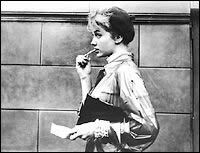 Earlier in the film it has been established that a young woman has become somewhat smitten by Bob and that he also has a protégé who attempts to copy his actions, attitudes and tastes; actions and occurrences characteristic of Melville’s ‘world’ which is full of sincere copies, templates, pared-back archetypes, silhouettes and seeming ‘cut-out’ patterns. On entering his apartment Bob glimpses the young woman and man asleep together in bed. In most films this would be cause for a dramatically charged scene in which mentor confronts protégé, putting into question the status and role of both the original and its copy. Melville approaches this ‘encounter’ in a fashion both more deeply existential and explicitly tender than is the convention. Bob does not even disturb the couple but gently tip-toes out of the room after drinking in the scene set before him. The precise detail of action and composition is important to both Melville’s rendition of popular genres (most often the gangster film) and to the peculiar way in which he treats time and space. As a result, the atmosphere, locales, places and actions of Melville’s films can seem both actual and totally imagined. For example, the lovingly sketched Montmartre of Bob le flambeur is both a realistic geographic environment and a cartoon of the milieu of two-bit criminal Paris. 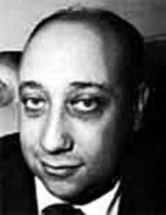 His films often create a dream-like, almost clandestine sense of geography, place and period which sits alongside equally evocative but austere observations of the realistic minutiae of a particular historical moment or generic situation: the conditions of occupation in war-time France (Léon Morin, Prêtre, 1961); the slate-coloured, damp feeling world and meticulously repeated actions of a lone wolf assassin (Le Samouraï); the meticulous build-up and execution of a daring jewel robbery (Le Cercle rouge, 1970). It is often this sense of a particular place, space or physical sensation that stays with you after experiencing a Melville film. For example, when reviewing Les Enfants terribles (1950) François Truffaut felt that the places and situations created by Melville were as much sensorial as physical: “one of the few olfactory films in the history of cinema (its odor is of children’s sickrooms).” (5) Even such lesser films as Deux Hommes dans Manhattan (1959) and Un Flic (1972) build a concrete but moodily sparse world from a collection of sounds, shades and colours observed from multiple perspectives and angles. Most of Melville’s films prior to Léon Morin, Prêtre share many of the subsequent characteristics of the loosely configured movement we call the nouvelle vague: a somewhat clouded but conscious rejection of the French studio system (or ‘tradition of quality’); low budgets; a demonstrated fascination with B-grade American genres; a preponderance for particular, non-classical techniques; an encyclopedic fascination with auteurist cinema (even if Melville’s ‘canon’ was quite different). Melville’s independence as a filmmaker – evidenced by factors such as his working without a union card and various shooting permits on Le Silence de la mer, the studios he had built and lived above, the lower budgets he worked on, and the multiple creative roles he occupied on many of his films – as well as the avowed stylistic influence of his work on directors such as Truffaut and Godard (who featured him in a cameo in À bout de souffle ), further this connection. Surface evidence in the film backs up claims of such a break, as Léon Morin, Prêtre features by this time established stars, Jean-Paul Belmondo and Emmanuelle Riva, in its central roles (though both are also associated with key works of the nouvelle vague), and follows more closely the general thematic and stylistic parameters of European art cinema of the period (with a far more contained palette). Looking back on this film forty years later, it is much more difficult to recognise how it separates itself from Melville’s earlier work – other than through its obviously more expensive budget, characteristic of Melville’s work from this point onwards – and even some works of the nouvelle vague. To be found intact are the powers of observation that Melville always brought to bear on a particular time and place, and the subject of an evolving friendship that emerges between two characters seemingly incompatible in terms of life choices, political allegiances and moral perspectives. It is this play between seemingly incompatible characters, social roles and aspects of cinema (the artificial and the realistic) that is amongst the key preoccupations of the director’s work. For example, Le Silence de la mer, L’Armée des ombres, Bob le flambeur and Un Flic all revolve around sets of characters who are linked and opposed, faithful and potentially disloyal, together and alone. Tom Milne has suggested that the key themes of Melville’s work are the “impossibility of love, of friendship, of communication, of self-respect, of life itself.” (19) Milne’s ‘thematic’ reading gets us some way towards understanding and ‘capturing’ the sensibility of the director’s work, but it does not come near to suggesting the range of this work, nor the gentle, stoic melancholy (with bursts of often stylised brutality) that best defines the emotional state of many of Melville’s characters. Neither does Milne’s summary account for how such terms exist in time (and duration is a key to Melville’s distinctive universe). Love, friendship, communication, self-respect and “life itself” are not impossible in Melville’s cinema but they are explicitly finite or time-bound. 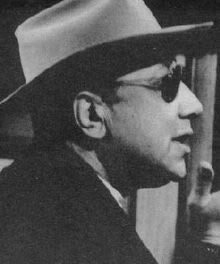 The bittersweet and deeply felt quality of the director’s work suggests that his preoccupation is less with feelings of contemporary isolation – common in the art cinema of the 1960s – and the opportunities that sounds and image ‘situations’ offer for compositional abstraction, a la Antonioni, than with the melancholy contemplation of the play of intimacy and inevitable betrayal. Milne’s discussion of the serious existential themes in Melville’s work is seemingly undermined by many of the comments made by the director himself: “It may be the business of other film-makers to discuss the big questions; personally, though I don’t mind touching on them, I have no wish to explore them.” (20) Melville’s suggestion that his work only touches upon the “big questions” is misleading, and undervalues the emphasis his films place on the observational detail of everyday life, the specificity of a particular time and place, and the ritual actions and movements of bodies placed in specified contexts – all of which are “big questions” for the cinema. His statement is also misleading because it does not recognise how such elements or qualities can be synthesised to produce profound dissertations on the kinds of questions he suggests his films shy away from. It is the relative indirectness of Melville’s approach, combined with the intensely studied emphasis he places on significant – or ‘insignificant’ – gestures, actions, elements of mise-en-scène and stylistic devices (such as fades, wipes, close-ups and precisely deployed camera movement) that most commonly leads to such readings of his work. Melville’s films have the precision of a scalpel and the intensity of full-blown melodrama without being defined or ‘restrained’ by the coolness of one or the histrionics of the other. They are contradictory works in which the pulse of life appears to be pumped in and withdrawn at the same time. Thus, as I have suggested elsewhere, Melville’s cinema is essentially tonal: a sensibility (melancholy, poetic, unhysterical) which is founded upon a ‘purity’ of style, performance and narrative action. (21) It is this ‘sensibility’ or ‘tonality’ – existential, ritualistic and formed around the incapability of the individual and their community – that preoccupies most critical accounts of Melville’s cinema. (22) John Flaus has suggested that Melville “is a self-confessed addict of the structure & ethos, but not the tone, of the Hollywood crime genres.” (23) Thus Melville’s films often appear as intricately choreographed shadow plays in which the elements of genre become isolated, detached and abstracted. This abstraction goes hand-in-hand with a career long fascination with totemistic objects brought either to the foreground of a shot or arranged purposely in the background of the frame. Melville’s films are full of moments in which characters fix on a particular object or fetishise certain keepsakes or elements of mise-en-scène. This isolation of individual shapes, objects and actions is playfully noted in the scene in Le Samouraï where the character of Weiner is asked whether he can identify the man (Jef, played by Alain Delon) he passed in the foyer of his lover’s apartment block. Not being ‘observant,’ he cannot recognise the ‘person’ of this man but constructs a readily identifiable composite; he points out a hat, a coat and a kind of face that he remembers brushing past. Nevertheless, unlike Godard, Melville’s films are less pastiches or collages of other films and genres than slightly displaced but ‘fully’ formed examples of the cinemas or genres they refer to. Melville’s films in this mode have the quality of after-images, apparitions of established models fueled by a ghostly world-weariness and the characters’ self-consciously ritualised actions. Thus, Melville’s characters often appear trapped within a particular moral framework or aesthetic design. 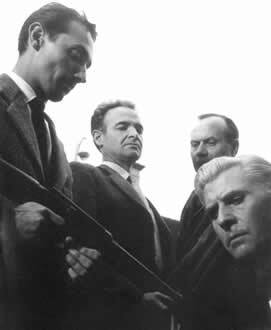 For example, the police prefect’s repeated statement that “Man is guilty – he is born innocent but it doesn’t last,” casts a pall over all actions and characters in Le Cercle rouge, while the restricted tonal palette of Melville’s last four colour films helps establish a mood of inevitability; characters must act within certain frames of reference, completing roles which inexorably lead to their deaths. Though often considered amongst Melville’s least successful films, Un Flic takes this creation of a hermetic and completely defined world to its furthest level. The film is suffused by a blue light, to the level where some of its opening shots take on the extreme tonal abstraction of a late Turner painting. 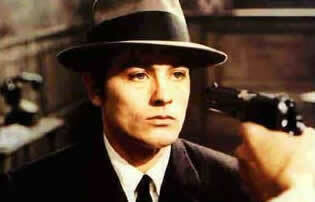 This melancholic and metallic blue sheen imbues the film and its characters with a death-like pallor (highlighted in the extraordinary montage between Delon’s pasty face and that of a corpse at one point in the film). The film’s, at times, explicitly artificial sets and back projection only further this sense of painterly composition and control, as well as of characters who are trapped in the half-light of somnambulistic actions and events. Un Flic is perhaps Melville’s most extreme experiment in genre abstraction in which the characters appear to sleep-walk through a set of predetermined gestures, actions and situations. In this sense it is an ideal, if relentlessly pessimistic, final testament. In many ways Melville’s first feature film, Le Silence de la mer, establishes the key thematic and aesthetic preoccupations of his cinema. The basic idea of the film is something of a poetic conceit: a soldier of the occupying German army is billeted at the home of a French man and his niece. Atypically, the German soldier is a cultured man and openly pontificates about the strengths and weaknesses, and necessary conjoining of French and German culture. The officer speaks throughout to his hosts’ unbreakable ‘silence.’ In its mixture of the everyday and the patently artificial one can see what might have attracted Jean Cocteau to Melville’s film (they worked together on Melville’s next project, Les Enfants terribles). The play of lighting, particularly on faces, the framing of bodies and body parts are both strikingly subtle and, at moments, strikingly expressionistic. The world of the film is necessarily regulated and controlled and yet it exhibits something less than a rigid scheme. In Le Silence de la mer the relationships between characters remain unspoken, they lie in silence, and are only expressed through abstract gestures, the systematic use of particular cinematic devices, and, to some degree, the retrospection of the voiceover. Though it contains an air of ephemerality the film also highlights a precise if muted physicality that is a key of characteristic elsewhere in Melville’s cinema. For example, during Gu’s escape from jail in the opening of Le Deuxième Souffle (1966) we feel the physical sensation and tension of his actions. In fact this muted but palpable physicality is often all that we can grasp onto in the murky half-light of the compositions. Another of the most striking and experimental aspects of Melville’s films are their use of sound. For example, the voiceover narrations of Le Silence de la mer and Les Enfants terribles have a detached, almost circumstantial tone which washes against the intense sea of words of the German officer in one film and the intimate dialogue of brother and sister in the other. It is important to note that Melville’s cinéphilia is rooted in a love of early sound cinema and the soundtracks of his films – though often highly sophisticated and breathtakingly synthetic – do share this cinema’s routine juxtaposition of silence and clatter, as well as its tendency to isolate individual tones, voices and ambient noises. It is in his late films that Melville takes this experimentation with sound to a further, almost purely abstract level. For example, the opening seven or eight minutes of Le Samouraï contains virtually no dialogue, creating an aural world in which isolated ambient sounds and snatches of diegetic music jockey with a variety of non-diegetic or attenuated sounds (an over-dramatised score, the heightened sound of the bird in its cage). Many descriptions of Melville’s films highlight their silences or the mutedness of their aural range, but their soundtracks more accurately have the quality of a kind of concrète poetry – shifting willfully from doom-laden score to isolated sound effects to aphoristic dialogue. Thus the abstraction that is found in Melville’s images is often matched by his soundtracks. For example, the physically palpable atmosphere established in the opening scenes of Un Flic is created as much by the wash of various sounds – waves crashing, seagulls crying, cars on wet roads, the alarm after a bank raid – as it is by the film’s spookily attenuated visuals. Melville’s cinema is one of almost pure sonic and visual signs. These signs are isolatable but also form part of a synthetic system or world (the sound in his films often has the quality of a sculptured, somewhat experimental soundscape). Melville’s films increasingly develop and sustain a kind of aphoristic worldview. This is explicitly foregrounded in the short quotations which are placed at the opening of many of his films. For example, Le Samouraï begins with a long take of the film’s protagonist stretched out on his bed accompanied by a unsettlingly pulsating score, the rhythmic tweeting of a caged bird and a written quote attributed to the Book of Bushido (actually composed by Melville): “There is no greater solitude than that of the samurai, except that of the tiger in the jungle… perhaps….” This opening sets the tone for the film, the quotation establishing a framework to understand the actions of the character (the ersatz Japanese origins of the quote also suggesting one of the film’s main stylistic reference points). This opening shot also establishes and reiterates one of the key peculiarities of Melville’s films. Though the shot – reminiscent of an Ozu film – remains resolutely outside of the character’s perspective and point of view it nevertheless, through specific camera techniques which create a dream-like sense of fluidity and even subjectivity, manages to feel both distanced and extremely intimate. Most of the shots in Le Samouraï are somewhat distanced from the visual perspective of the lead character and yet everything still seems filtered through his detached and ritualised response to the world. This concomitant sense of seeing and hearing things from both within and outside character is one of the most fascinating facets of Melville’s style. In the process, Melville’s films constantly throw up new perspectives, cross-cutting between multiple points of view. Thus, his films don’t exclude the optical point of view of characters but they don’t privilege it either. An exemplary instance of this is the opening of Un Flic; the last great thing he did and a kind of demonstration of the plastic and emotional strengths of Melville’s cinema. This opening moves between two evocative geographies: the near deserted stormy sea-side landscape in which a bank robbery occurs and the night-time streets of the Parisian suburbs wearily traveled through by Delon’s ashen-faced police inspector. What is remarkable about the style of this opening is that although it introduces us to various characters, and their view of the world, it hardly ever repeats a camera set-up. Thus, individual shots (and sounds) are both part of a system and separable from it. This style reiterates what is the key motif of Melville’s cinema; elements (or characters) which belong to a system or pattern while also being separable from it. Even the most extreme coupling in Melville’s cinema, the brother and sister who want to retreat to their own hermetic world in Les Enfants terribles, is constantly challenged by real and imagined forces of division. In death they are both joined and coolly separated. Melville’s is a strangely earthly world of acceptance, contemplation and the calm which comes with self-knowledge, but never of spiritual transcendence. 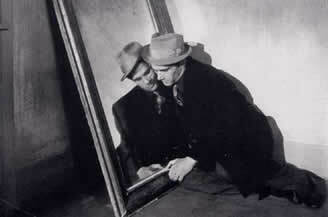 Though his films are often compared to Bresson’s, they never offer an equivalent possibility of even a hard won faith. Brief bio and info on his films. Citerion DVD essay on Bob Le Flambeur. Some of his films can be purchased here. This article draws on material I have published in three previous essays on Melville: “L’Armeé des ombres,” Treasures from the French Embassy (Melbourne: National Cinémathèque, 1998); “The Sound of Silence,” Metro 119, 1999, pp.96-7; “Léon Morin, Prêtre,” Senses of Cinema, 10 (2000) http://archive.sensesofcinema.com/contents/cteq/00/10/leon.html. Each of these three articles focus on a separate film from Melville’s war-time or Resistance trilogy: Le Silence de la mer (1949); Léon Morin, Prêtre (1961); L’Armeé des ombres (1969). Godard includes direct homages to Melville in films like À bout de souffle (1959) and Vivre sa vie ( the final scene takes place outside Melville’s studio), while the style of voiceover deployed in Melville’s first two films seems a direct influence on that found in Truffaut’s Jules et Jim (1961). Melville’s influence on post-nouvelle vague cinema can be seen and heard in such heist or crime films as The Driver (Walter Hill, 1978), Reservoir Dogs (Quentin Tarantino, 1992), Heat (Michael Mann, 1995), Ghost Dog: The Way of the Samurai (Jim Jarmusch , with its equal reference to Seijun Suzuki’s similarly themed Branded to Kill ) and Taxi Driver (Martin Scorsese, 1976). Alongside Bresson’s Pickpocket (1958), Melville’s Le Samouraï also appears to be a particularly significant stylistic influence on what could be called the ‘man in a room’ crime film (John Woo’s The Killer  most directly), as well as many other examples of the Asian crime or yakuza genre: Harboiled (John Woo, 1992), The Mission (Johnny To, 1999), City on Fire (Ringo Lam, 1987), Sonatine (Takeshi Kitano, 1993). Melville himself appears to have been particularly influenced by such films as John Huston’s The Asphalt Jungle (1950), Jacques Becker’s Le Trou (1959, shot in Melville’s studio) and Sacha Guitry’s Le Roman d’un tricheur (1936). In fact the combinatory tone, style and sensibility of these three quite different films could provide a neat pointer to the character of Melville’s cinema. Colin McArthur teases out many of these core influences, placing particular emphasis on the existential sources of Melville’s sensibility or world-view: “With their recurrent vocabulary of solitude, choice and death and their underlying theme of the necessity of integrity, of – in Sartrean terms – avoiding ‘bad faith,’ the rubrics [the quotations which open many Melville films] might be passages from a Sartre novel of the 1930s or 1940s.” (p.190) There isn’t much discussion of Melville’s politics, or the cultural and intellectual background he springs from, in English, but McArthur provides a very useful sketch of Melville’s early background as a mix of 1930s Communism, Sartrean existentialism and “Americanophilia.” See McArthur pp.189-91. For a brief discussion and listing of Melville’s pre-WWII Hollywood pantheon, see Nogueira pp.14-6. This pantheon was restricted to sound films and was based on the criteria that Melville had to love at least one film directed by any of the filmmakers represented. The list includes obvious choices like John Ford, Fritz Lang and Howard Hawks, but also such largely forgotten directors as Richard Boleslavski, Sidney Franklin, Sidney Lanfield and Alfred Santell. The paradoxical nature of Melville’s work is explored in some detail in Tom Milne, “Jean-Pierre Melville,” Cinema, A Critical Dictionary: The Major Filmmakers, ed. Richard Roud, New York: The Viking Press, 1980, pp.681-6. Rui Nogueira’s wonderful interview book, Melville on Melville, has been particularly significant in establishing the main critical paradigms for understanding Melville’s work. This is particularly true of the limited English-language scholarship on Melville. When discussing the relationship between Le Silence de la mer and Bresson’s work, Melville has been famously quoted as saying: “I sometimes read (I am thinking of the reviews after Le Samouraï and L’Armée des Ombres came out), ‘Melville is being Bressonian.’ I’m sorry, but it is Bresson who has always been Melvillian.” See Nogueira p.27. This attempt to connect Melville to Bresson, and other filmmakers working outside of mainstream French cinema in the 1930s, 1940s and 1950s, is common in many accounts of the director’s work. See, for example, the links made between Melville and such ‘relative’ independents as Jean Cocteau, Marçel Pagnol, Jean Renoir and Georges Franju in Alan Williams, Republic of Images: A History of Filmmaking, Cambridge, Mass. and London: Harvard University Press, 1994, pp.330-5. A useful summary of the ways in which Melville experiments with cinematic narration can be found in Kristin Thompson and David Bordwell, Film History: A Introduction, 2nd edition, Boston: McGraw-Hill, 2003, pp.381-3. This quotation was translated from an interview published in a 1963 edition of L’Avant-scène du cinéma and is cited in Robin Buss, French Film Noir, London: Marion Boyars, 1994, p.70. In contrast to this dominant approach, Alan Williams suggests that a shift in Melville’s work occurs much earlier, after the second of his literary adaptations, Les Enfants terribles. Williams sees his work from this point onwards as being both more personal and more attuned to the commercial realities of the French film industry. See Williams p.334. For example, Peter Hogue gives the following account of Melville’s curiously hybridised sensibility: “Melville’s sensibility is a unique one that proves capable of embracing the baroque passion of Cocteau, the grave austerity of Bresson, the stylistic impudence of Godard, the generic codes of the U.S. gangster film, and a certain irreverence that is characteristic of the heroic stage of existentialism in post-World War II culture in France.” See Peter Hogue, “Melville, the Elective Affinities,” Film Comment, 32.6 (November-December 1996), p.17. It almost goes without saying that Melville’s is a predominantly male world. 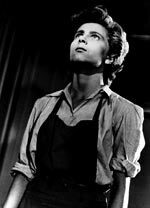 Nevertheless, some of the greatest performances and most interesting roles are played and given by women in his films: Nicole Stéphane in Le Silence de la mer and Les Enfants terribles; Simone Signoret’s heart-rending performance in L’Armeé des ombres; Emmanuelle Riva and a range of other female performers in the female dominated world of Léon Morin, Prêtre. Melville, as well as those he has worked with (like his sometime assistant Volker Schlöndorff) have often described his nocturnal habits; in particular his endless scouting of the Parisian streets at night, his immersion in the artificial light of the cinema, and the exclusion of daylight when walled up in his living quarters during the day. See Volker Schlöndorff, “Hommage to a Master,” Time Out, 654 (4-10 March 1983), pp.27-8. Tom Milne evocatively describes the more clearly autobiographical L’Armeé des ombres as “impersonally personal.” See Tom Milne, “L’Armeé des ombres,” Monthly Film Bulletin, 45.532 (May 1978), p.84. I am thinking in particular of the close bond which emerges between protagonist and antagonist in The Tall T (1957) and Comanche Station (1960). I would like to thank John Flaus for making me see this connection between the work of Boetticher and Melville. Though he seldom seems to have talked about these two directors together, his discussions of both on 3RRR’s Film Buff’s Forecast in the 1980s remains forever fused in my mind. These fatalistic endings are also modeled on the work of John Huston, his crime films such as The Asphalt Jungle and High Sierra (1941), in particular. The tone of Melville’s cinema also has much in common with that of Huston.